How can my students change their password or email address? 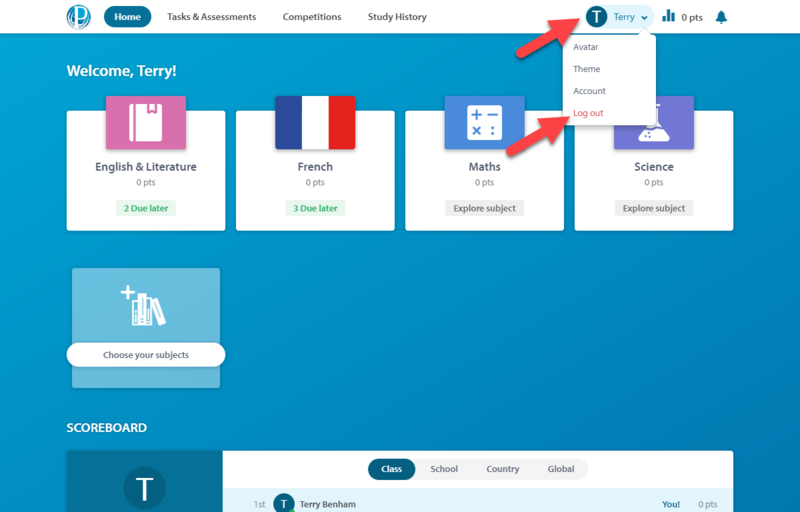 Students are able to change their password and add or change their email address from the Student Dashboard. Students who have forgotten their password or username should use the Forgot password? page from the login screen and follow the steps prompted to reset their details. 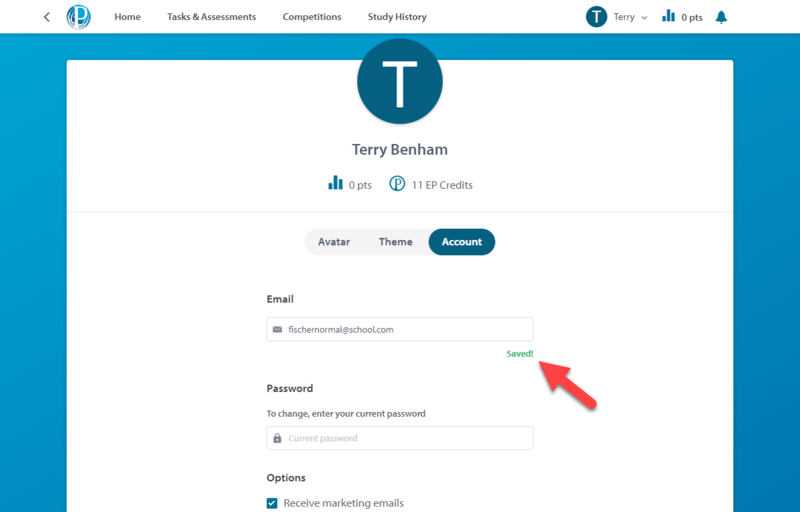 As a teacher, you can reset a student's password or change their email address from the Manage Accounts page in the Control Panel. 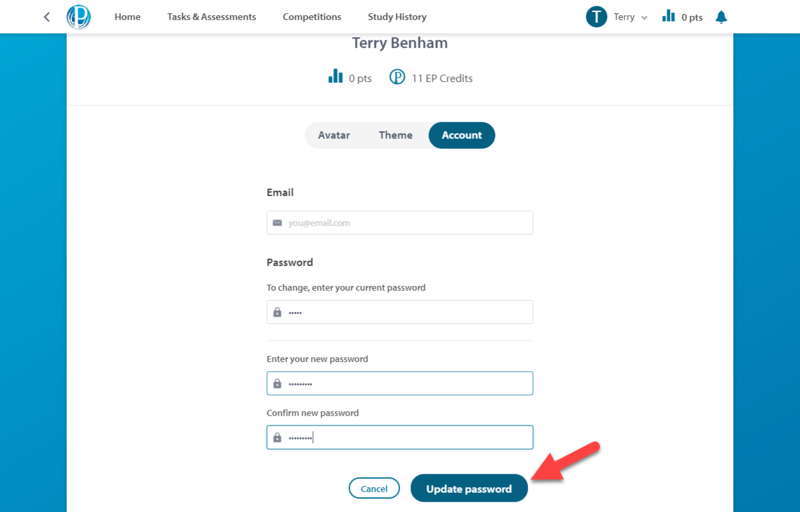 To change your password or email address, log in to your account and click on your name in the upper right-hand corner of the Student Dashboard. From there, select Account from the drop-down menu that appears. You will be brought to a page where you can input the details you would like to be updated. To update your password, enter your current password in the appropriate field, then input your new password twice to confirm. Finally, select the Update password button to save these changes. Your new password will need to be at least 6 characters long, and cannot be the same as your current password. To update your email address, input a valid email address in the Email field from your Account page and select the Update Email button to save.